When it comes right down to Icons we all feel they're never enough, that's why we're adding Joel Arvidsson's Vector Icons to our list. For this and the awesome Component he's being building for us. Choose from 2800 icons or use your own. 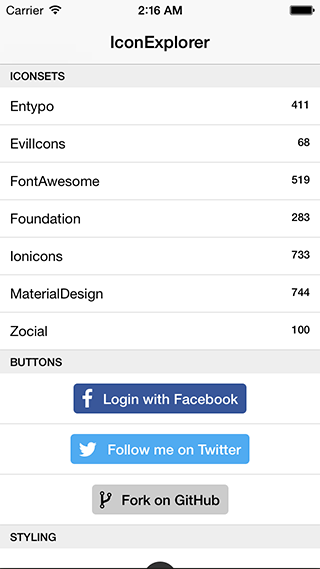 Perfect for buttons, logos and tab bars. Easy to extend, style and integrate into your project.